Hello Dealsnloot Readers,Jindal Bullion Limited is a group of jewelers who purchase Gold and Silver Bars from the world's most trusted Suppliers. As a promotional offer, now they are offering Refer & Earn program through which you can earn 1gm silver per referral and your referred friend will also get 1gm silver once they join using your referral link. As we are 1st to post this jindalbullion refer and earn trick. But minimum redemption is 10g which is equal to Rs 400. 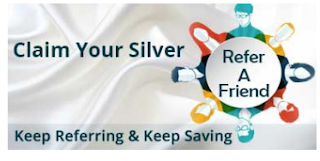 They are genuine and trusted site as we have checked.you will get free silver by referring friends or get 1g silver on sign up + 1g silver per refer.So Hurry !!! Grab This Loot Silver Offer. Update :- This Refer & Earn Offer Stop Today 9.00 . So Loot Fast And Get Silver Coins Loot. That,s It You Have Successfully Registered And Got 1g Silver. Firstly Click on Home page and you will see a dashboard. Now on middle of the page you will see a banner named “Claim Your Silver” click on that banner. Move down to bottom of the page and click on Generate refer Link Option. Then You will get your refer link on mobile number and on website also. Hence Share your refer link with your friends and when your friend will join under your refer link then you will get 1g silver. Firstly You need to Update your address by Clicking On Profile option. You have to Pay Rs. 50 Delivery Charge Extra. As soon as You get Free Silver Coin Via Courier. If you need any help then contact Their Customer care. Minimum redeem is 10 Gm. 1 Gm Silver is Credited to your account only successful Referrals ( Which use you referral link or code at the time of sign Up ). You need to verify your KYC Documents to get free rewards. You just need your name & phone number to register!! Once you are registered, it is time to Refer, Earn, & Save!! Refer everyone in your network!! You can either put in the details manually or simply import your contacts from your phone with a touch of a button!! A link and an OTP will be sent to all your referrals!! Your referrals click & register. Tadaaa!! The moment your referral registers, you both are entitled to get 1g Silver!! What’s more!! You can keep referring and your referrals can keep referring too!! Everyone has an unlimited Silver earning & saving potential!! A platform where we STRIVE to provide the best rates for buying and selling Gold & Silver bars so that you can THRIVE in the market. The gold and silver bullion bars supplied by Jindal Bullion are some of the finest available and offer long-term secure investment. Jindal Bullion Limited is a group of jewellers who purchase Gold and Silver Bars from the world’s most trusted Suppliers, Refiners, Miners, Government Banks, Multinational Banks, Nominated Government Agencies, etc. and trade them at the most competitive rates in the industry. 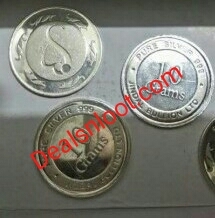 We deal in Gold & Silver products of reputed suppliers like, PAMP, UBS, Credit Suisse, Rand Refinery, Perth Mint, etc. and all our products are 100% hallmarked.